Best Chair Beds for Guests or Teen's Bedroom! 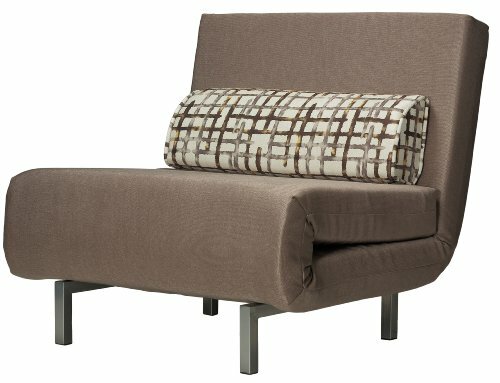 My Favorite Comfy Chair Beds for House Guests! Are you looking for the best and most comfortable chair beds for sale? What a good host you are! You really want to keep your house guests comfy huh? First of all they look very nice and can be used as extra-seating and they are also perfect for reading and relaxing! When you have your house guest, just roll it into a nice and comfortable bed! Here are the top selling and best reviewed chair beds for sale online! I hope your future guests will like them! Stylish Chair Beds for the Living-Room! 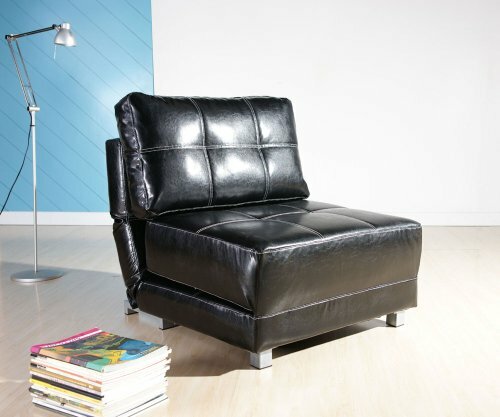 This shiny black convertible chair bed is one of the most stylish and gorgeous chair beds to have in the living-room! Beautiful seating chair by day, nice and comfortable large bed by night! Look how nice it looks! Of course it goes all the way down and flat! But I wanted to show you that you can also have it in many other positions, this one is perfect for reading at night! It has a high-density foam inside, for maximum comfort! I guess looking at this cute and comfy twin lounger chair you would never guess it actually has 3 positions! Besides going all the way down and ‘transforming’ into a very nice and comfortable bed at night, it also goes in a comfortable reading or sitting position. I love this beautiful gray color too. It’s also very comfortable, very sturdy and FUN to use! What a new and fun way to sleep at night huh? 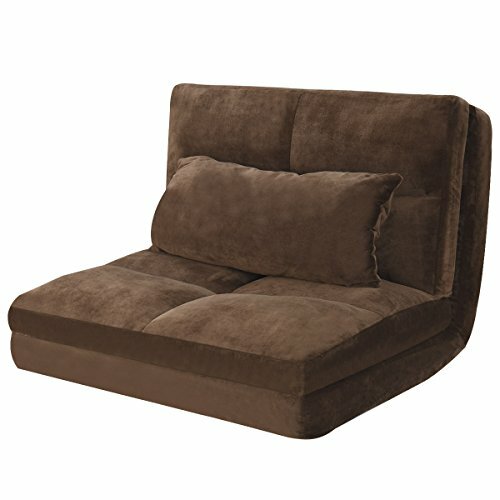 Best Chair Beds for Sale! 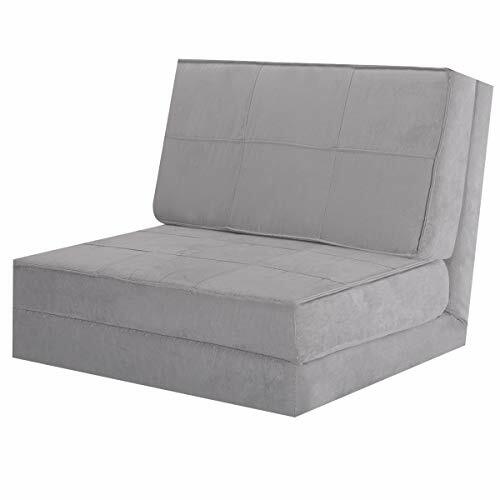 Another nice, comfy and very simple convertible accent chair bed in a nice and peaceful taupe color to have in your living-room, home office or bedroom! Cute and functional piece of furniture for an home! *This is a nice and elegant futon lounger! 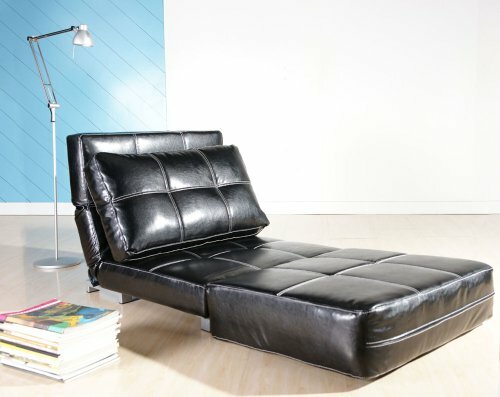 How gorgeous and very stylish is this super elegant black futon lounger for the living-room? It is very big and very comfortable! Your guests have never been more cozy and comfy at night, I’m telling you! 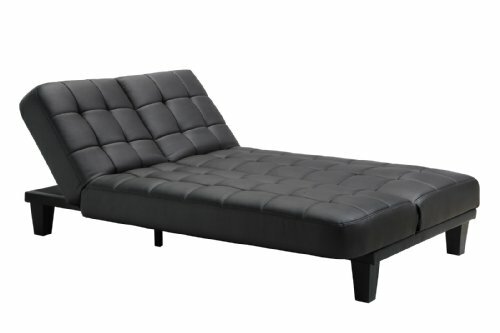 During the day you can have this beautiful black futon in many cool positions and at night as a nice and large bed! This awesome affordable convertible chair bed has 5 positions to suit your best ‘reclining’ needs! Just by looking at it makes you want to throw yourself on it, right? That’s why it’s called sleeper lounger chair I guess! ‘Cause it’s awesome, big and very comfy!! Also perfect for a dorm room or teenager’s bedroom! 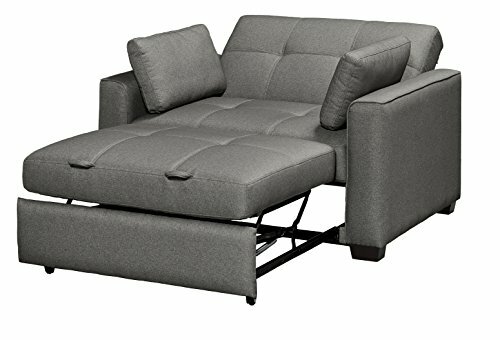 I had to show you this cool, fun and comfy convertible chaise lounger for sale because my own sister sleeps on one every night! She doesn’t have a real bed in her bedroom and she prefers to sleep on this cool ‘chaise bed’! First of all, it is very comfy to sleep on. It is also extremely compact and just perfect to have in a tiny bedroom! 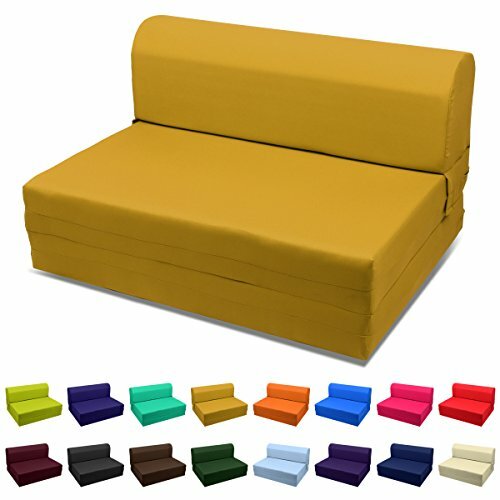 If you are looking for comfy but cheap sleeper chair beds for sale today I think you are going to LOVE these! 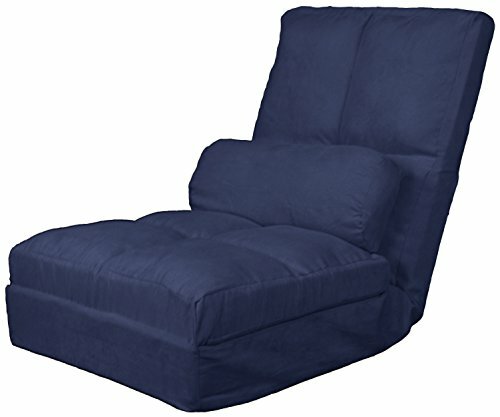 This is a fun, colorful and very affordable dark blue sleeper chair! Perfect for the bedroom or even your living-room! Great for a teenager’s bedroom or dorm room as well! It’s also available in other cool colors, to match your decor or personal preference. 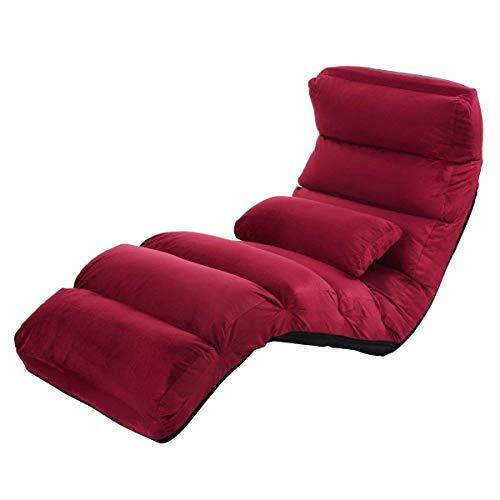 Fun Burgundy Color Sleeper Chair with Pillow! Another cheap and comfortable folding chair bed that transforms into a comfy and firm bed! Very convenient and practical to use! Great for dorm rooms and teen bedrooms! How cute, fun and very ‘golden’ is this single size chair bed for sale? It’s perfect to have in your teen girl’s bedroom! Look lovely and sweet during the day and it becomes a twin bed at night for when she is having a friend over! *Check out these amazing chairs for reading as well!